Do you have a college degree (s) and if so, what are the degree (s) and the colleges? Have you ever been convicted of a crime? If so, please provide details. Why are you running for Maricopa Community Colleges Governing Board? Do you support or oppose the district’s decision to eliminate faculty meet-and-confer and replace it with another process? Please explain why. Do you support or oppose the district’s decision to eliminate junior college football after the 2018 season? Please explain why. What role, if any, should sports such as football play in the overall education offered at the community colleges? What would you do to secure state funding after it was eliminated in 2016? Student enrollment dropped dramatically during the recession and is leveling off. What would you do to reverse that trend, increase enrollment and improve graduation rates? There are different philosophies about role of the community colleges in higher education. What is yours? Should the colleges focused on preparing students to transfer to a four-year-college or 2-year technical training to get a job? The current governing board wants to get away from using voter-approved bonds to fund construction projects. The money would instead come from the district’s general budget. Do you support or oppose this? Please explain why. What do you think are the three biggest challenges faced by the Maricopa Community Colleges and, if elected, what will you do to address those challenges? Family Sydney and I have 5 married children and 20 wonderful grand children. Education I have studied at Brigham Young University and Mesa Community College with no degrees. Work history I am currently engaged in consulting; focusing on opportunities including transportation, education and economic development. As its President, I formerly lead East Valley Partnership for nearly 14 years, EVP is the leading non-profit business coalition advocacy on issues of regional significance in the PHX East Valley. Prior to accepting the EVP assignment, I had 38 years’ experience brokering risk and insurance services to clients of a range of complexity including self-insured programs as well as more traditional fully insured programs. Previous public office For the past 20 years I served as a member of Maricopa Association of Governments Regional Council made possible by appointments to the AZ Department of Transportation (ADOT) and the Citizens Transportation Oversight Committee (CTOC) representing the business community on the Transportation Policy Committee (TPC) of the Maricopa Association of Governments (MAG). I was honored to be the first Student Body President of Mesa CC in 1963. That association has helped generate my passion for education generally and about the community colleges in particular. Education and the community colleges are vitally important but underappreciated resource to Maricopa County and to the State of Arizona. I have a solid understanding of the functioning, needs and potential of the community colleges from my nearly 14 years as president of the East Valley Partnership (EVP). In that role I interacted regularly with two Maricopa chancellors and 7 community college presidents as well as senior administrators from ASU and the University of Phoenix. Often they came to the EVP to explain their needs and plans and to solicit our support and help. I strongly believe that education is the greatest economic driver in our county and state’s economy. I will work tirelessly to advance Maricopa Colleges and ensure they serve students and the community. I have lived in Arizona all my life, I am an Arizona native, born in the eastern part of the State, Franklin AZ. My family moved to the Valley in 1950. I studied at Brigham Young University and Mesa Community College, no degrees. As mentioned above, my passion for education and belief of its importance as a key economic driver and my experience have generated a desire to give back to the community, valley and state that has been so good to me and my family. I believe with my proven ability to collaborate and connect with both people and issues I can assist in moving MCCCD to even greater success. Realizing that MCCCD has a physical plant (bricks and mortar) approaching $10 Billion, an annual economic impact approaching $6.5 Billion, an annual budget of nearly $1 Billion, 200,000 students and 10,000 employees, all supported with tax payer funding, I want to ensure an appropriate return on that investment. My previous experience at EVP, ADOT, MAG and Prop 400 development, the Arizona Sports and Tourism Authority has prepared me to support the students, administration, facility and the business community. Preparing students for current and future jobs in an accessible and affordable manor is my vision. There are several important factors that need to be balanced while modernizing the process of meet and confer. Certainly, faculty and staff need avenues to express their opinions. They are on the front lines and in many cases know best what needs to be done. Their cooperation is necessary to the success of any major initiative. But this must be balanced by the fact that like any other type of school as well as business or government, the Maricopa Colleges have senior administration and a board who have the ultimate responsibility to make decisions. An optimum system would allow many opinions to be heard but once a decision is made, everyone involved at every level knows they must pull together for the common benefit. A contemporary meet and confer program should allow for all voices to be heard in an efficient manner with an organized structure that guides ending discussions and decisions made. As a board member I would also look for many informal ways to interact with all parties. I wish this question followed the one below because to discuss football requires addressing the value and role of sports generally in post-secondary schools. Whatever role sports have in education seems to go double for football, which plays a special role in American society and in our high schools (which I played), community colleges and universities. Football is also argued to be the most expensive sport and one in which many injuries occur. Is that factually correct? Should the Board deliberate the football issue, I would ask: What is the real cost? What is the human capital value to the community, are members of the community receiving an education and retuning as police, fire, EMT’s etc. and at what levels? What is the insurance availability/cost? Are there legal risk alternatives, i.e. transfer of risk? Is there appropriate accident insurance? Cost? With 13 sports for women and 14 for men, community college sports play several important roles. 1) They give students an opportunity to hone and express their talents, to gain confidence and learn life lessons. 2) For many students, playing at the community college level can lead to scholarships to four-year programs. Like many in Maricopa football, Green Bay quarterback Aaron Rodgers, a future Hall of Famer, started his football career at a community college. 3) Sports are important in building a sense of campus comradery. Many colleges like Benedictine and Southern Virginia University use sports as a major draw to recruit students. 4) Sports are an important way to connect our colleges to the larger local community. 5) The community college cost is generally a fraction of a university experience for both sports and general education. 2003 was a terrible year for the state budget but that year the three state universities received an incredible special state appropriation of upwards of $450 million. Why? Because ASU President Michael Crow did an amazing job of explaining the value of the universities to the state’s economy to the legislature. The community colleges have been far too quiet for far too long. I will never be as articulate as Dr. Crow, but I would take every opportunity to make the case about the value of the Maricopa Colleges and the need to fund them, to the general public, the business community, the news media and most especially, the state legislature. My approach would be not to only speak in generalities but to focus on particular programs that are most likely to draw wide support and funding. There are many amazing programs offered by Maricopa Colleges not offered by universities! Some colleges and universities experienced an enrollment increase during recessions. Maricopa could follow a two-part model: 1) be flexible enough to offer new courses appropriate during recession such as exploring new career paths while working during a down market and 2) market the value of acquiring new job skills. After the last recession almost all the job openings that required only a high school diploma pre-recession now require at least a community college degree post-recession. Additionally, I would explore Maricopa adopting system-wide the practice successfully implemented by one of its colleges. Embedded college advisers in the high schools in their area communicate the value, The economies of Maricopa, scholarships available, dual enrollment options and the many other choices available to graduating seniors as a recruiting initiative. This process should also start earlier with parents and their students as early as high school freshman or sophomores for maximum results. This is not a dual choice, or at least it shouldn’t be. With the broad options of Maricopa, there is no reason why community colleges can’t both provide work force-job training and as well prepare students for a 4-year college. One could argue that the “bread and butter” of community colleges is 2-year job training. Maricopa offers programs like the Airframe and Power courses for the Aviation industry, the Energy program for future employees of the utilities and the Nuclear Energy program just to name a few of the more than 600 offered. It is not a function that most 4-year institutions perform or if they do perform, perform well. But we can’t ignore the fact that about 6,000 Maricopa College students transfer each year into ASU alone. The community college 4-year college pipeline is invaluable to the students and to the our state universities and others out of state. The Maricopa Colleges have been doing both very successfully and should continue to do so more aggressively. While at EVP I supported and helped pass the Maricopa Bond Proposition in 2004 that raised almost $1 billion. Those funds constructed many fine additions across the Maricopa system. It was a well thought out long range (10 to 14 year) capital improvement plan and was supported by the business community. Those funds are now used or at least planned for. Supporting a new bond proposal would require answers to the following: What is the cost of maintaining and operating the current physical plant (buildings)? What's the status of the current payroll, administration and teaching technology systems, are they the latest state of art? What will new technology bring to the education community? Are these future expenses accounted for in the current and long-range budgets? Considering the rapid changes in technology, perhaps consideration should be given to a future Technology Bond plan rather than a brick and mortar plan and what will the business community support. MCCCD has many challenges on its road to even greater success. First, the successful completion and implementation of the Guided Pathways Transformation will modernize student advising and help students to find their path to work or further education in a more efficient way. Second, accelerating workforce development curriculum processes to more easily adapt to changing demands will better meet student and industry needs. Third, neither of these priorities will be optimally successful without improving the low morale, team spirit, and leadership throughout the system. I will contribute where appropriate to the success of these opportunities by supporting a new tone throughout that honors the incredible talent and expertise of all employees and empowers them to do their very best to make these changes for the betterment of the students. New tone and hustle should help revive the team spirit and positive leadership for which MCCCD has been known not only locally but nationally. I moved to Arizona in 1976 to attend University of Arizona. I have lived here 42 years. I have lived in Tucson, Oro Valley, Phoenix, and currently reside in Mesa and have for 21 years. A Right to Work law guarantees that no person can be compelled, as a condition of employment, to join or not to join, or to pay dues to a labor union. In other words, if you work in a right to work state. like Arizona and the employees form a union, you may not be fired if you decide not to join. Meet and confer which is supposed to provide collective bargaining between government and employees to avoid costly litigation, has unfortunately had a different effect. Meet and confer has allowed the teachers union to sue government employers for failing to negotiate in "good faith" whenever the employer refuses to yield to union demands. This result in tax payers footing the bill for as unions attempt to apply legal and political force to control both sides of the table. 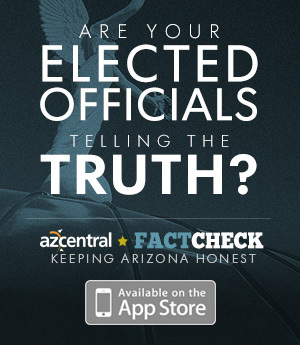 Arizona law prohibits engagement in collective bargaining by government. Our faculty is diverse and compensated well. We need to avoid conflict and work together with clear lines of communication to resolve differences. I love sports and as a season ticket holder for our Arizona Cardinals I am a huge fan! The college Presidents determined that the rising insurance costs were unsustainable for future unknown injuries to our players. The main focus of our community college is education not sports. The taxpayer would be left to pay claims from injuries that occurred during a players time while attending Maricopa Community college. The NFL is getting ready to pay out millions of dollars of claims over the next few years. Our college system cannot afford to write a blank check for an undetermined amount. Unfortunately lawsuits and rising insurance costs was the main factor in determining the elimination of football and the costs out weighed the benefits. As a parent of a son with a traumatic brain injury I take the issue very seriously and would support student safety above all else. Those that participate in sports learn about teamwork, competition, strategy, and physical strength and agility. I believe our student athletes receive great benefits from their participation in sports and sporting activities. I believe that other teams outside of football are remaining on the campus and still available to student athletes. Also sports needs to be balanced with studies. There are many student athletes who have earned academic honors while attending Maricopa Community College and that needs to be encouraged to continue. Academic achievement should be the top priority for our student athletes and participation in sports should be allowed to continue. I believe that the state does not need to provide funding to the college at this time. Current revenues provide sufficient cash flow for the operation and maintenance of our college system. To ask for additional funding from taxpayers equates to a tax hike which I believe is unnecessary at this time. I also believe we can work with business and industry to set up programs that can create additional revenue streams and not have to rely on the state revenue to run our community college system. To reverse this trend I would like to see MCC do more with career path education. What I mean by this, is we talk to students earlier in their high school years and share job openings and trends in our community. In this way students can start to develop a vision for their future and we can create an educational plan to help them achieve their personal plan. As the largest community college system we can improve on our already great programs and become the platinum standard for workforce development throughout Maricopa County and become a model for the nation. We currently have over 100,000 jobs that need filling in Maricopa County. The college needs to be a conduit to our state colleges, but also to the trades. College tuition needs to remain low to have college stay affordable and attainable to as many students as possible. Business, construction, and industry need to share their needs so we can work together to create educate to earn programs. No student is exactly alike. Each student has a unique set of skills and they need to develop their own program for success. My husband and I have seven grown children. They all attended and graduated college. No one attended the same college and none of them do the same career. 2 year technical training is just as important as a four year degree. Some students are better suited for technical training, others for a four year college, and yet others who are unsure the community college can be a great place to try different course studies at a reasonable cost to avoid failing at a four year college because they were not prepared yet to be at a 4 year college or even know what they want to study. some students can bypass the community college system all together. I believe we can accommodate many different types of students and can be more agile as a community college to meet the needs of our local students even while they are still in high school. I believe that the current management of funds is resulting in a 10% per annum surplus. The interest from this is currently paying what is usually covered with bonds. I do not support increase burden to taxpayers. I believe there is a plan to retire current bonds and eliminate the need to request future ones. I support the current policies of the board. The college campuses are well maintained and maintenance needs are being met. Anytime you have to go to the voters and ask for money we are not utilizing the current resources to their highest and best use, and voters will be asked to vote for something that ultimately increases their tax burden. In this case I believe that to be unnecessary. 1) Student centric education. We need to do a better job of creating a plan to get students to their chosen career path in the most effective and efficient way to connect our students with higher education options or two year programs to a job. Both are important. There are jobs waiting for qualified and trained personal we should be a part of the solution. 2) Keeping educational affordable and current with trends of employers in our county, construction, defense, medical to name a few. We need to know what jobs are needed and keep curriculum current to be the solution to our job market. 3) Fiscal responsibility by staff, faculty, and the board. We need everyone to understand that utilizing our tax dollars wisely will create better opportunities for our students and ultimately their success becomes our success. Our product is education and our goal should be successful students in a thriving economy that we as an educational partner played a role in creating.